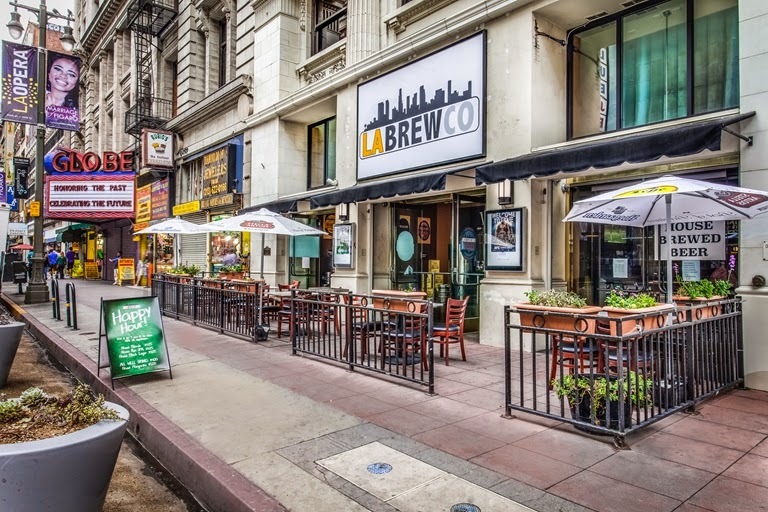 LA Brew Co, which was just featured on Bar Rescue on 3/22/2015 and was Jon Taffer's most expensive rescue is already listed for sale. This beautiful clean classy bar & restaurant is located in the historic Broadway Theatre District in Downtown LA and not to mention the cities new project of revitalization Bringing back Broadway . True opportunity&"
There is also a real estate listing that was created 3/16/2015 that has the bar listed for $650,000 and has multiple pictures of the interior. It appears they may have dropped the price with their latest listing. UPDATE - The bar is no long open as they try to sell, so this has been marked as 'Closed' on the Bar Rescue Update Page. Agreed. But I also wonder if Taffer or the production company have paperwork in place for a situation like this. I would think they would want to protect their "investment" with an agreement that after renovation if a bar goes up for sale within so many days of a rescue, a portion of the sale goes back to Bar Rescue. Without somerolime that, what's to stop bar owners from getting free remodels before selling? This doesn't surprise me in the least bit. Those people were clueless, and the subsequent reviews show just how stupid they are, particularly when they were dishonoring the Yelp coupons with a BS excuse. I highly doubt it. Remember, this is a TV show. Their "product" is ratings and the resultant ad revenue. For better or for worse, every owner basically gets a free remodel and new equipment for free, and it's theirs to do with as they please. This one being sold doesn't bother me, as this place deserves better ownership. Considering the expensive remodel this bar just got, as well as its location, 600k seems pretty low. Whoever buys this place, if they run it halfway right, should make that money back in no time at all. This show is terrible every bar fails!!! Actually, counting this bar being up for sale as a failure, only 27.6% of the bars have "failed" (closed or been sold). Considering the financial state most of the bars are in when they get rescued, that's a ridiculously GOOD statistic. Um, did you even look at the list before typing? An update on another bar -- Piratz Tavern in Silver Spring, MD announced its closing on April 4. Not sure where you saw that at.... Where did you see that? Looks like there are no signs of them closing. Outstanding! If anybody deserved to fail, it was those two basement dwelling idiots. I also had a feeling about this bar. It felt like he was just into the show for a remodel. Ooooooh! You got a link? "Lost her lease" can mean exactly that -- that the landlord has decided to rent to another tenant despite the tenant's payment of rent. When you rent commercially, you should build a certain number of renewals into the lease with limits on how much the landlord can increase your rent. When you reach the end of the lease, no more pre-negotiated renewals available, your landlord may find that you are renting at a price considerably below market, and you may find that you don't want to pay the new market rate for that location. If people want to run a hobby business, making little to no money or losing money, they're entitled to live their lives and spend their money as they see fit. But Taffer was correct about the location -- a competent business with a good product should be able to have a booming lunch business, as well as strong after-hours business. You should be able to make more money in that spot with a decent sandwich franchise without a liquor license than Piratz could dream of grossing. The piratz... had a different dream. I'm interested to find out who is moving into the spot. Whoever buys the place as a going concern will have to conspicuously rebrand the bar and conspicuously distance itself from former management. The owners really should have invested a solid year into rebuilding the bar... but I suspect they feared they would end up putting more money into the bar over the year than they would recoup through an increased sale price. They should have closed years ago. Given that this is the ONLY bar I have ever seen go through a rescue and then NOT mention that fact on their website, I wasn't surprised to see that the bar is up for sale. It has a very "Get the free reno and then grab what we can & run" feel to it. Taffer has a much higher success rate than some other shows, like Hotel Impossible or Kitchen Nightmares. Of course to me, fixing a restaurant or hotel seem like bigger challenges too. Most of these places tend to have one foot in the grave already before he even shows up. Many on here, and also over on Restaurant Impossible, often are loosing so much money the fact that any of them stay open past 6 months after their shows is amazing enough. Yeah I guess the episode was just a showcase for some of the beer technology. It's obvious that a lot of Richard's family didn't really want to work for the bar. Why didn't Taffer focus on hiring replacements? After all, the show did say at the beginning that Richard fired all the good staff and replaced them with undedicated family members, cut down the number of options from 100 to 18 though that probably wasn't a bad idea given that Richard couldn't succeed even with small and simple, and cut more corners that ended up costing the business. It was utterly foolish for Taffer to waste so much money on an expensive "upgrade" and even more lame to install a computerized brewing machine that will inevitably lead to sloppy staff and the business closing sooner. I wonder if it was just a RE play to increase the value of the business to sell, and for the owner to get clean out.